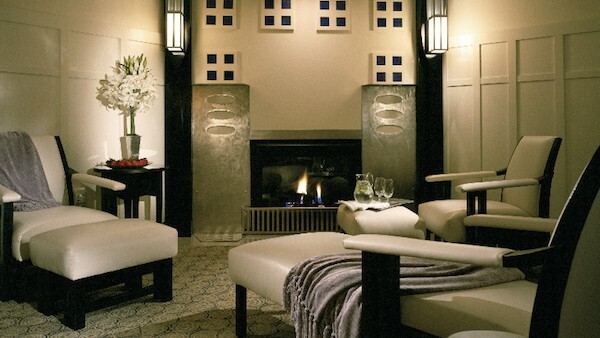 Contributing health and spa writer Sheryl Kraft describes her visit to The Spa at Torrey Pines. One of my very favorite spots in California is Torrey Pines, a vast 1,700-acre natural state reserve bordering the Pacific Ocean just north of La Jolla, a stretch of golden unspoiled land on the Southern California coast. Walking amongst its various hiking trails never fails to fill me with wonder. At one turn, I see a sweeping beach sunlit-dappled beach with changing tides that stretches on for miles. At another, wooded pines lining a sandy path propelling me forward in search of the next surprise. It might be the high-pitched sound of an osprey, the sighting of a mourning dove or the far-off drone of a military helicopter (San Diego is home to one of the largest bases of the U.S. Navy), its intensity drowned out by the lush landscape. Then why would I ever want to go inside? You can take the girl out of the spa, but you can’t take the spa away from the girl. With its extensive choice of services, the 9,500-square foot feng shui inspired space at The Spa at Torrey Pines is as tranquil as the treasured park that surrounds it. After a long and somewhat strenuous hike, I left myself enough time to check in for my spa appointment and relax in the spa’s pristine and cozy relaxation room, wrapped securely in a plush white robe, camping out by the warm glow of the fireplace. I was excited about my massage, yes, but I was in no hurry. In fact, I began to unwind even before the massage began. Sipping herbal tea and munching on trail mix while reclining has a way of turning the body to a near-mush state. And what a massage it was; so relaxing and blissful that I had trouble removing my limp body from the table when it was over. The therapist’s deft touch took care of any muscle tightness I’d had when I first entered the spa. But a soothing shower awaited, and then, I’d head out to the lovely outdoor patio at The Grill and Bar for some lunch, where I’d feast on a fresh and wholesome salad and sip perfectly-chilled sparkling water. Perhaps I’d even venture into the heated pool behind The Lodge and bask in the sun on one of its inviting chaise lounges. The spa is housed in The Lodge at Torrey Pines, an AAA Five Diamond hotel, occupying 6½ acres adjacent to the 18th green of the renowned Torrey Pines Golf Course. The hotel, built in a Craftsman era style, blends in perfectly with its surroundings: stately without being overbearing, with an understated luxurious vibe offering clean, open spaces. In addition to the spa, the hotel has 170 guest rooms (including seven suites) and over 13,000 square feet of meeting and banquet space. (Sometimes, hotels with conference rooms can feel a bit antiseptic and “business-ey,” but this is hardly the case). The moment I entered I felt cared-for and pampered—from the grand porte cochère entrance, which is staffed by friendly and welcoming attendants dressed in Scottish kilts, to the lobby with its large fireplaces and beautifully carved mantelpieces, to the plentiful overstuffed chairs beckoning company. The hotel, owned and operated by Evans Hotels of San Diego, is the perfect blend of indoor/outdoor living. In keeping with its coastal location, many of the spa’s treatments—including facials, massages, wraps, and hydrotherapy—include marine botanical-based products. Healing rituals, incorporating spa techniques from around the globe are also on the menu. One that sounded particularly enticing was the Ancient Oceans Ritual, that includes a cleansing body exfoliation followed by a warm, fragrant body gel containing trace minerals from seawater and various essential oils. Your body is then submerged in a hydrotherapy tub filled with seawater before it’s treated to a heavenly massage. I’ll be back to Torrey Pines for more hiking as I always do when I visit my BFF in the area. And next time, I’ll plan on a full day – a couple of hours for hiking, followed by an afternoon spent luxuriating at the spa. And who knows? Maybe I’ll even pack a suitcase and book a room at The Lodge and stay a few days! Disclosure: The Spa at Torrey Pines hosted Sheryl Kraft’s massage but any opinions expressed in this post are her own. Oh my, I’ve always wanted to visit this amazing place, the interiors are really magnificent, and yes a spa treatment sounds like the thing to experience there. A long, luxurious spa treatment after hiking sounds like just the ticket :-).